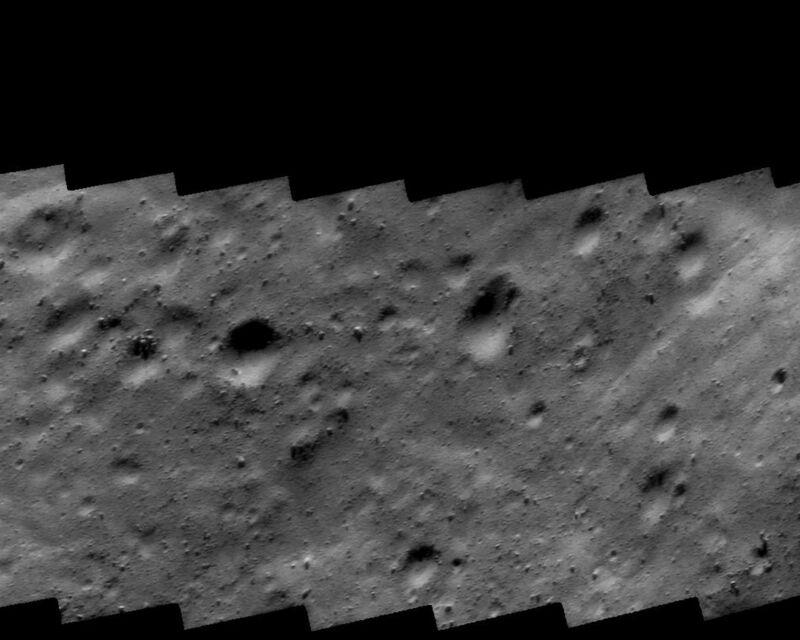 This image mosaic was taken in the early hours of October 26, 2000, as NEAR Shoemaker made its low-altitude flyover of Eros. 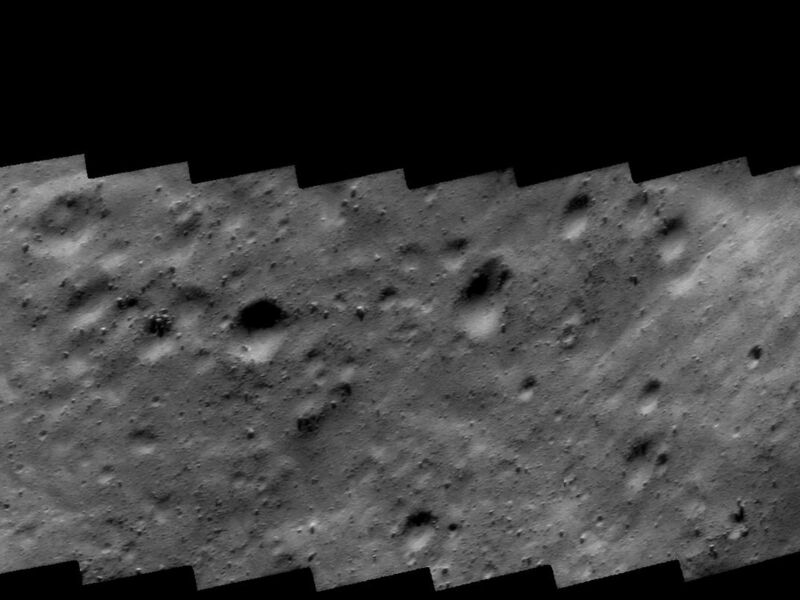 At the time of closest approach, the camera was looking at a region just 6.4 kilometers (4 miles) away. 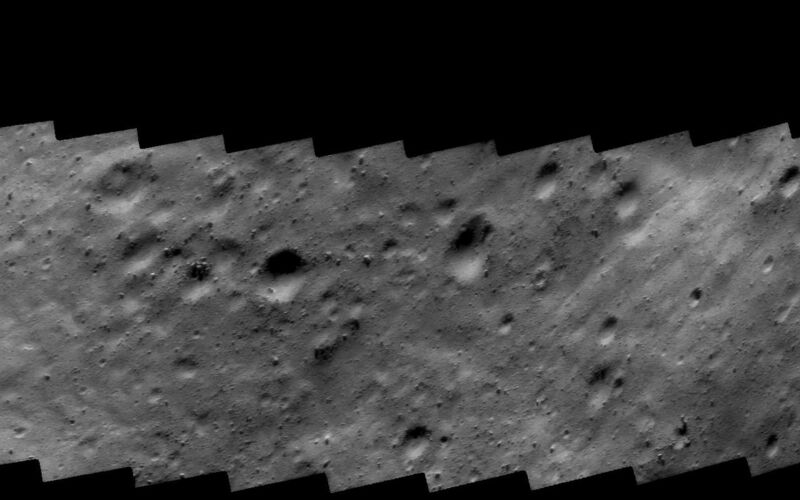 Much of the surface is covered in rocks of all sizes and shapes, set on a gently rounded surface. Other regions are smooth, suggesting accumulation of fine regolith. The smallest rocks seen are about 1.4 meters (5 feet) across.